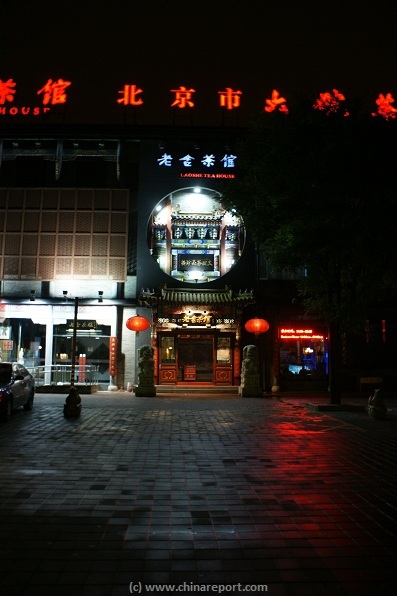 Welcome to China Report's Digital Introduction to the Lao She Tea House and Folk Customs Museum, in the Xuanwu District of Beijing. 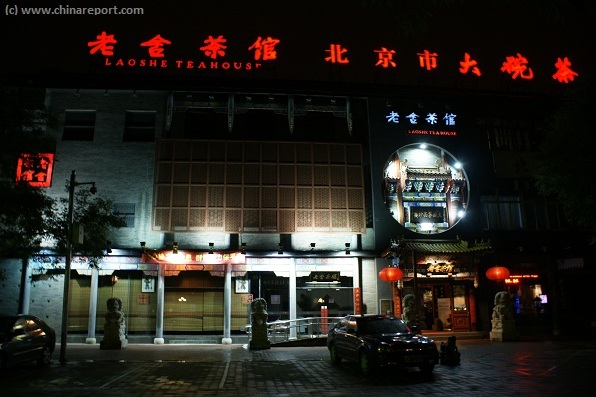 Founded in 1988, Lao She Tea House was named after Mr. Lao She, a famous artist in China, and Tea House, one of his famous novels. 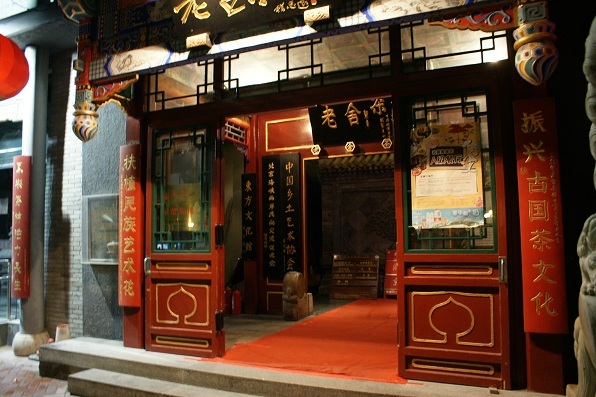 With service area of more than 2,600 square meters, the teahouse provides an antique-flavor, Beijing-styled environment, where you can watch wonderful performances by celebrities from folk arts and drama on any given day while enjoying famous tea, palace snacks as well as traditional Beijing flavor state. 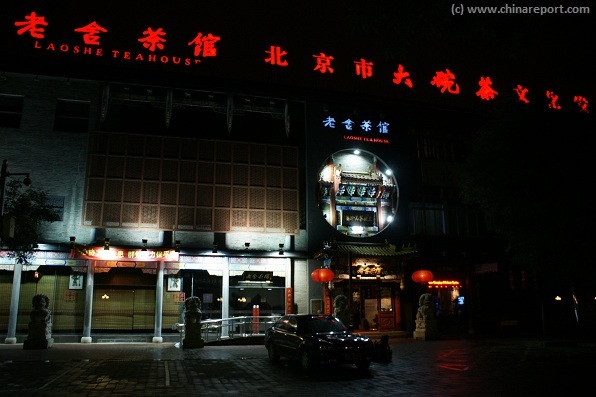 Numerous celebrities and more than 2 million Chinese and foreign tourists have visited Lao She Teahouse since it was founded. 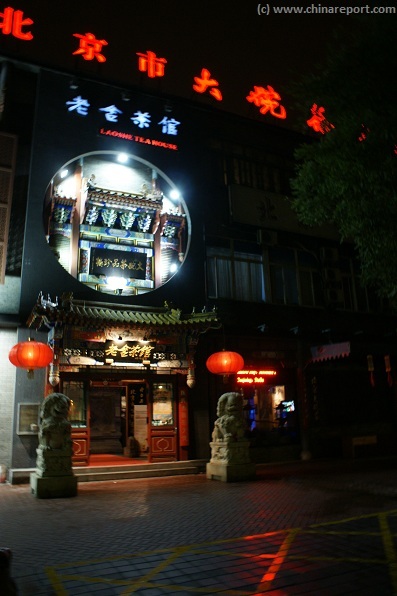 It has been a window for exhibiting the national culture and a bridge that connects China with the world. 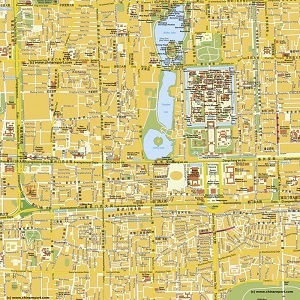 Transportation: Take bus routes 5, 10, 110, 120 and take off at Qianmen stop, or take subway Line 2 and take off at Qianmen station. 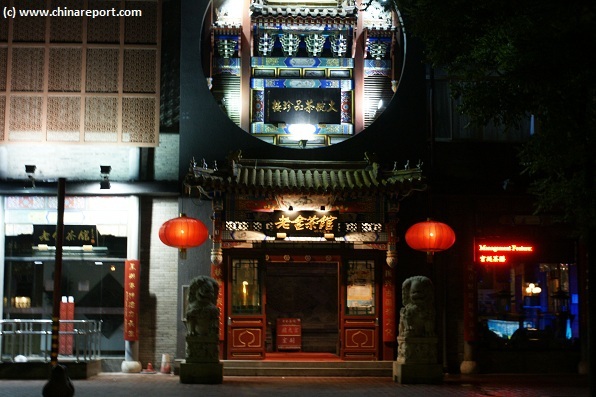 Make sure to explore the culinary treasures of Beijing, get the book Beijing Local Delicacies.